Trying to find a new way to present your concepts or ideas in order to capture the attention of our over stimulated society? Why not consider going for an illustration. Illustration is used because it is creatively never ending and it doesn’t have to relate to reality. It can break the rules and it can become synonymous to your business. Read more . . . The design and making of the baton is amazing. 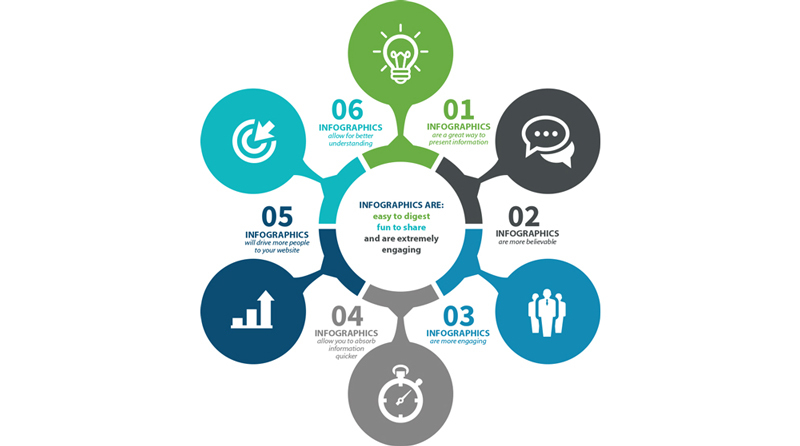 An infographic is a way to present information, data, and knowledge in a visual manner. They do a great job at building brand awareness and getting a specific message across. Read more . . .
CMYK and Pantone are two different colour systems to describe the printing process of your finalised artwork. CMYK or ‘four colour process’ printing has become the norm of late as consumables, idle machinery and the dominance of internet mediums force costs down. To simplify CMYK printing, think of the cartridges that go in your office or home laser printer – there’s likely a yellow one, a red, a blue and a black that combine to provide a full colour range. In the crudest sense, that’s CMYK – Cyan, Magenta, Yellow and Black. A Pantone colour, on the other hand, is a specific colour that has its own ink well. It’s an industry-standard colour system and when printed professionally should always look the same. Pantone is reliable but adds expense. Considering that most mediums used today are printed in full colour, it almost makes Pantone printing obsolete. But if you’re a stickler for colour and want the exact shade, it’s the only way to go. If this is the case, you will need to choose your colour from a special Pantone Colour book. CMYK on the other hand allows for all forms of full colour printing, including popular short, digital print runs. However, these representations of colour can vary because of ink type, the type of printer used and paper quality. Magazines and newspapers are generally printed in CMYK.